As a Silver Sponsor to the event, Genuitec is showing off its expertise in Eclipse RCP development by using open source and a Raspberry Pi to create apps for a television and to play the 1980s interactive fiction game Zork. We are looking into the future along with the Eclipse community at the Internet of Things and how we can play a role in device connectivity in the home. Genuitec, makers of the market leading MyEclipse Integrated Development Environment and Secure Delivery Center technologies, is pleased to sponsor this year’s EclipseCon San Francisco along with SAP, Oracle, Google, Microsoft, Red Hat and others. The event, presented by the Eclipse Foundation and held at the Hyatt San Francisco from March 17-20, is a premier event in the developer community to learn about the latest advancements in open source technologies. 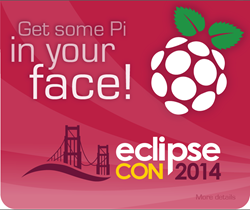 To learn more about EclipseCon and to register for the event please click, here. Genuitec is giving away twenty feature-rich Raspberry Pis at the event during its speaking session titled: “Pimp your Pi with Eclipse For Your Home TV.” The session will focus on how developers can create their own apps for Raspberry Pi by leveraging the small open source PiPlug app simply from within Eclipse. The PiPlug open source project can be found on Github: http://genuitec.github.io/piplug. What is the Internet of Things (IoT)? The Internet of Things refers to uniquely identifiable objects and their virtual representations in an Internet-like structure. Or plainly put - if all materials that humans interact with have machine-readable identifiers then they can be managed and inventoried by computers. Think of the refrigerator that never runs out of milk because the milk tells the fridge it is running low, the fridge orders milk from AmazonFresh and has it delivered to a customer’s home in a few hours - that’s the Internet of Things. The open source Eclipse platform is embracing IoT with multiple projects helping to enable using small devices in your everyday life. For more information on IoT platform initiatives at Eclipse, check out http://iot.eclipse.org. 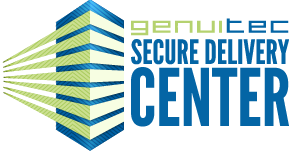 Genuitec will be located at booth #10, and in attendance this year will be Tim Webb, director of innovation and strategy; Iris Meneley, marketing specialist; and Jed Anderson, product manager for Secure Delivery Center.